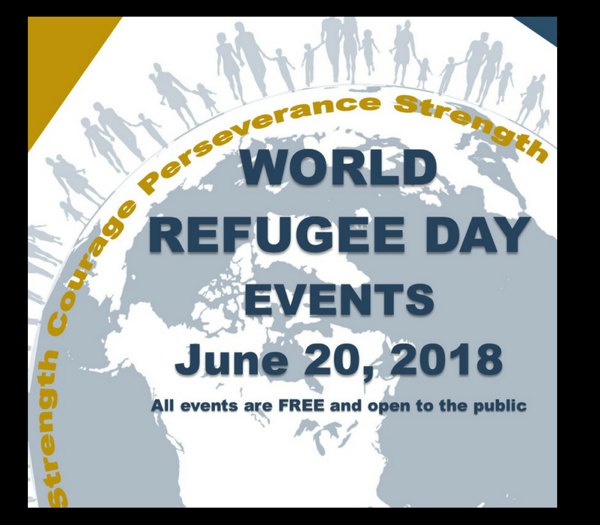 There are many exciting events taking place in association with World Refugee Day events on June 20th with various activities at the HUB, the Red Deer Museum and Art Gallery, and Festival Hall. These free events will offer opportunities to the community to engage with newcomers who arrived in Red Deer and area under refugee status and for us to learn from each other. Our hope is that this will lead to a more welcoming and inclusive community, embracing of the diversity which has grown in Red Deer, to affect positive change for refugees globally and locally. In partnership with Central Alberta Refugee Effort, Catholic Social Services, Central Alberta Immigrant Women’s Association. Cultural Heritage Society, Red Deer Museum and Art Gallery, the HUB on Ross, Red Deer Local Immigration Partnership, and Lacombe Community Refugee Effort. Drop in or stay for the whole event. Visit one or visit them all. To register on Eventbrite go to click here. See poster below with details or phone Jan or Sadia at 403 346 8818 at Central Alberta Refugee Effort. Read more stories about the community on Todayville.com. About Central Alberta Refugee Effort: C.A.R.E. was formed in 1979 by a group of concerned citizens who wanted to assist with the settlement of Indochinese refugees fleeing the aftermath of the Vietnam War. A year later, C.A.R.E. became a registered non-profit society. In 1982 it received status as a charitable organization. Since our founding, our mission has been to assist in the settlement and integration of immigrants and refugees in the community.